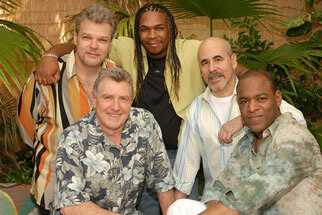 For 35 years, SPYRO GYRA has been one of the top jazz fusion bands in the world, selling more than 10 million albums worldwide. Their hits include “Shaker Song” and “Morning Dance,” which are still frequently played nearly 30 years after their release on jazz and easy listening stations. The band, which helped develop the smooth jazz genre, blends jazz with elements of R&B, funk and pop music. Some of the performers who’ve provided guest vocals on Spyro Gyra albums include Chris Botti, Deniece Williams, Basia and Alex Ligertwood of Santana.